The Wedding Barn at Astbury has been newly established in one of the barns at the tranquil and picturesque Glebe Farm, which is renowned for its scenic location in the Cheshire Countryside. The Wedding Barn offers various packages to suit every couples needs. 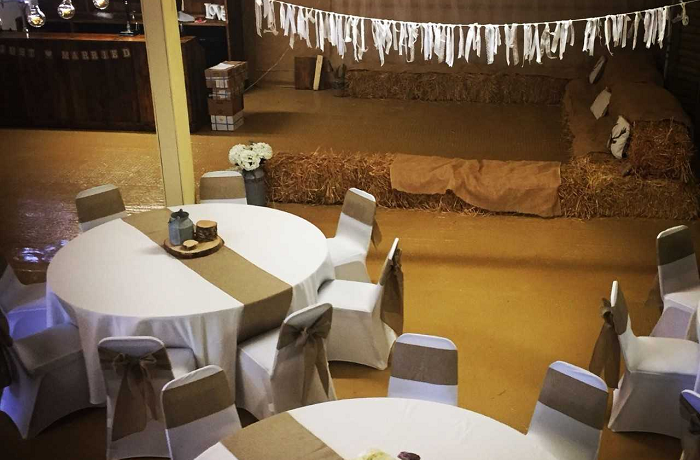 With the rustic theme and hessian draped walls, it is ready for any couple to place their stamp and style for their big day. The Wedding Barn at Astbury also invites couples for their own private afternoon/evening at BeerDock Leek where you can sample your own wedding day alcohol to serve to your guests.